In a world filled with phone clutching, sight-distracted and “meme”-living millennials, how does one seem to focus on “The Dream” and not on the distractions? 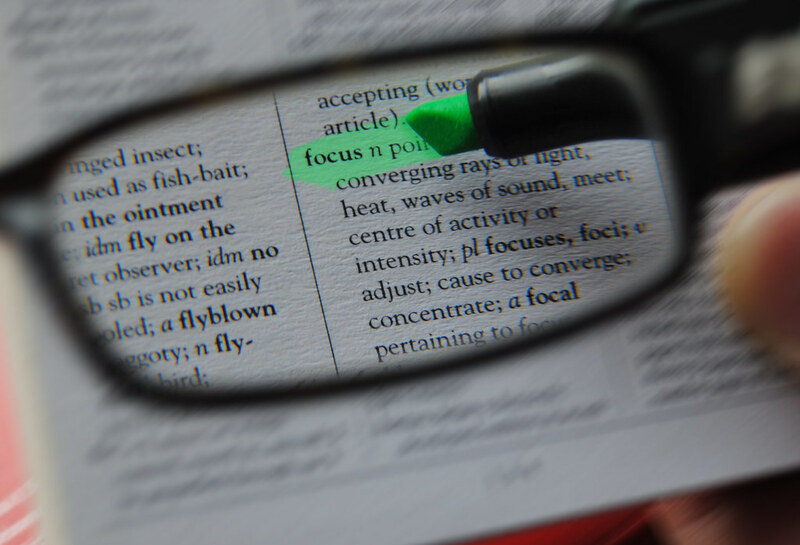 When focusing requires more effort than scrolling through ones timeline or newsfeed, how do we set ourselves for the “greater picture” and not on the small, attention-grabbing “commercial breaks” along our way? Many of us take great pride in our prowess in multitasking – read a book, cook dinner, go to the gym, get groceries, learn a new language, buy a house, go to Mars – but with us wanting to do it all, we take multiple tasks but end up not finishing any or finishing something haphazardly. Believe it or not, our ability to multitask or focus has been linked to the tiny, inner most parts of our biology. A study in performed by a research team at McGill University has identified a network of neurons in the lateral prefrontal cortex, that interact with one another to filter visual information while at the same time ignoring distractions. Now problems in focus are being perceived in a medical point of view (e.g., ADHD) and seen in all walks of life and all age groups. A research team from California State University, observing college, high school and middle school students as they completed their homework assignments, recorded the students while studying. The researchers found that though the students knew they were being watched they still engaged in some form of technological distraction 35 percent of the time within the first 15 minutes of the observation. According to Professor Gloria Mark of the Department of Informatics at University of California, Irvine, a typical office worker gets only 11 minutes between each interruption, while it takes an average of 25 minutes to return to the original task after an interruption. In the geriatric population, age-related declines in abilities related to driving, such as vision, reaction time, and selective and divided attention, have been well documented. So, how to do we stay on out lane and keep our focus? Noted psychology researcher, Barbara Fredrickson, recommends a 3:1 balance of positive and negative emotions. Thinking positive thoughts and taking our negative emotions help in managing inattentiveness and promote focus. Negativity results in emotions of anger, sadness and anxiety and feelings of being out of control and these emotions are processed by the amygdala. Functional brain imaging has shown that activation of the amygdala by negative emotions interferes with the brain’s ability to solve problems or do other cognitive work. However, positive thoughts do the opposite – they improve the brain’s function and promote creativity and strategic thinking. Taming negative thoughts can be done through meditation, exercising and some rest and relaxation. So the next time you sense negative notions or distractions coming your way, take a few breaths or do some mental counts. Think of the “pot or gold” at the end of the colorful, frenzy-filled rainbow!